We all need a project (or проект, if you like) or two to inspire and keep the creative juices flowing. Today, I found a project which I thought was a) excellent in terms of the timing given that it’s a new year and b) a lovely way to work on another goal of mine that I’m using to combat bouts of depression and the doldrums which accompany winter in Southern Finland. Specifically, I’ve been trying to re-focus on more positive aspects of daily life. Committing to taking one photo a day is easy enough; committing to taking one photo a day of things which bring joy and beauty to my world seems daunting, but also a rather simple way of re-focusing and solidifying the habit of re-focusing on the loveliness in life. I keep seeing images with the caption, ‘Tomorrow is the first blank page of a 365-page book. Write a good one’ (which is a quote from Brad Paisley?). Cliche, perhaps. But, okay. It’s a new year and there are many vomit-inducing aspects to it. What I love most though about new years most is not just the opportunity to look forward and think of life anew, but the chance to reflect upon the past year and close the book on a small chunk of the past, just to continue with the over-used metaphor. What did this past year mean? What were the highlights and low points? What can be learned from the many lessons lived through? Then there is the hope that a new year brings. Truth be told (and perhaps it will be short-lived), I’m excited by and for this coming year. For the first time in several years, there is no impending and potentially devastating or discouraging process which we must face. We have more options and choices open to us, and we have a small measure of security — finally! This isn’t a small thing at all given just how traumatic and uncertain the last several years have been. It’s bloody huge in reality. And, that’s the beauty in this year. This entire year in which we can make decisions for ourselves rather than waiting on one bureaucrat or another to make them for us. Today, I’m delighted to begin anew and refreshed, one of the brightest things in my life is my little tiny calendar. It may be old school (paper calendars work better for me even though I keep a digital diary as well), but I love it. To me, it represents hope and opportunity. It’s bound to get messy at times, but that’s what makes it interesting and inspiring. ← Farewell, 2013! 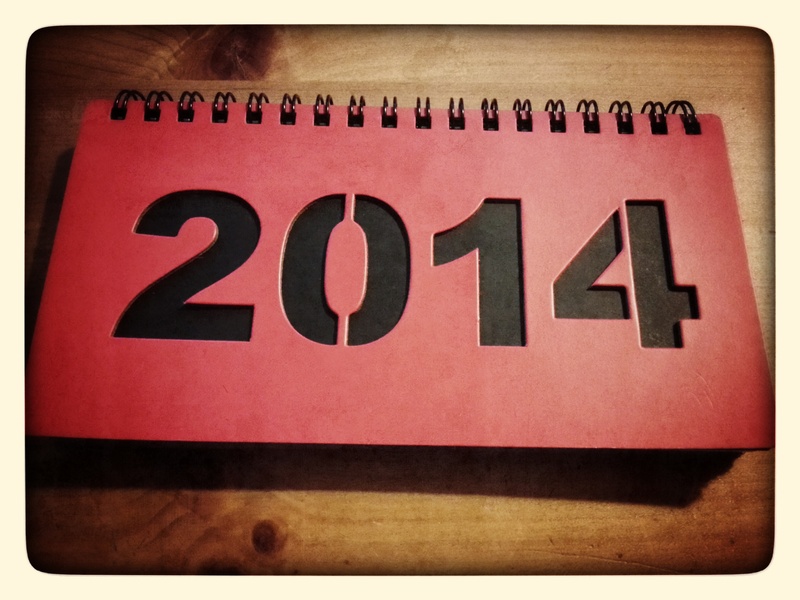 Hello, 2014!